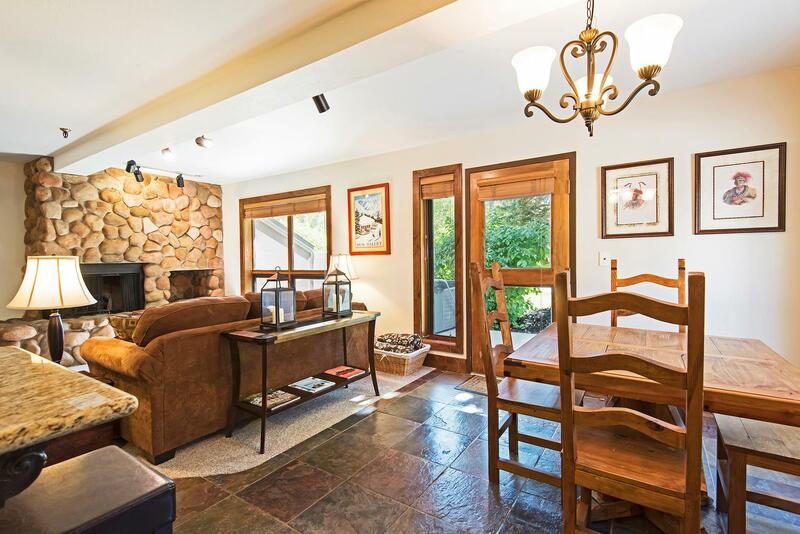 Wide-open living room and kitchen Private patio with hot tub and bbq grill Inviting, private hot tub Quiet, end unit location Gas fireplace with stone surround Cozy couch is a sleeper-sofa Dining area can accomodate 7 Updated kitchen cabinets and appliances Well stocked kitchen has everything you need Private bath with jetted tub Master bedroom with western theme decor Private bath with jetted tub Entry area Quick walk to the Deer Valley Cafe Deer Valley Resort, just a 1/2 mile away! 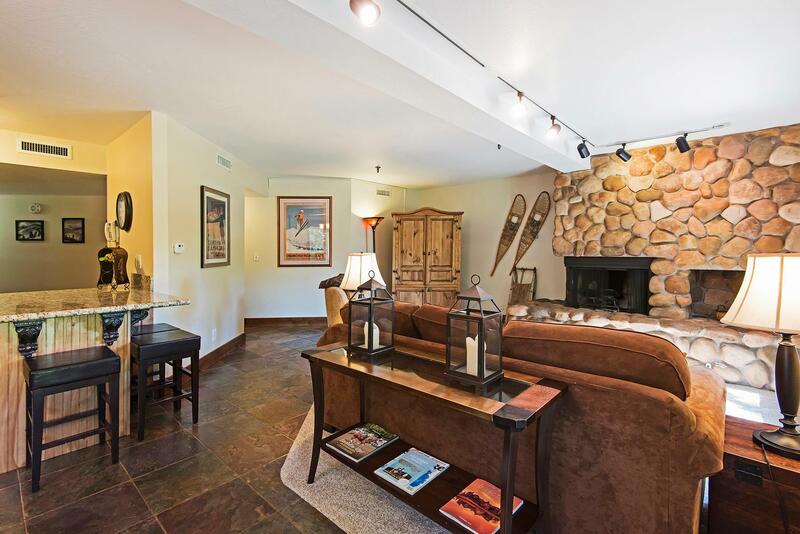 Curl up by the fire or soak in the outdoor hot tub after a relaxing day of skiing at Deer Valley. 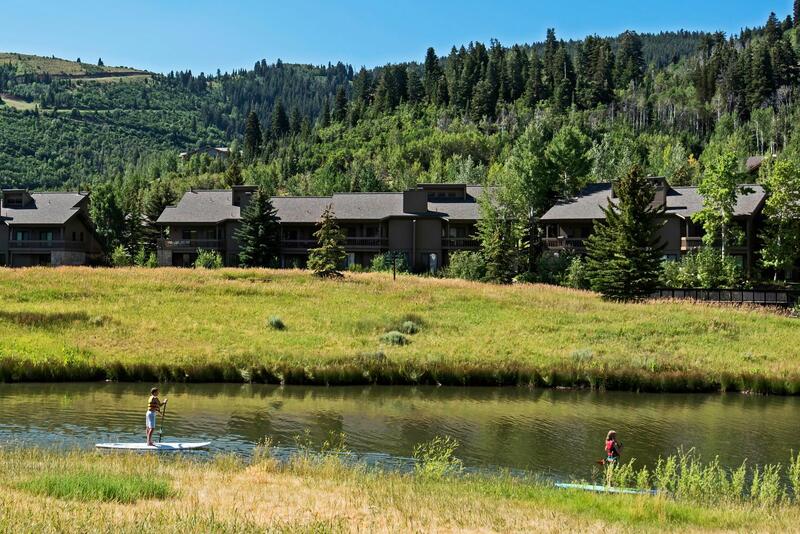 Wake up in the morning and walk 100 yards to the Deer Valley Cafe for fresh coffee or breakfast and then take a five minute shuttle ride to the resort. 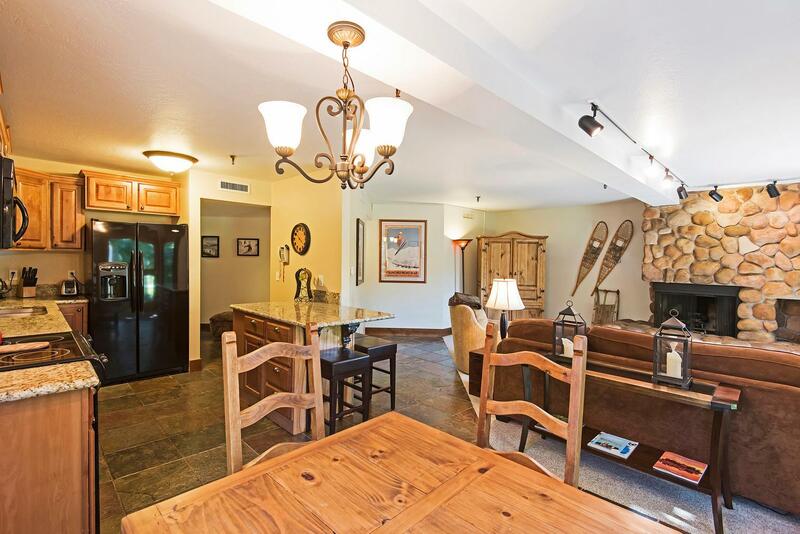 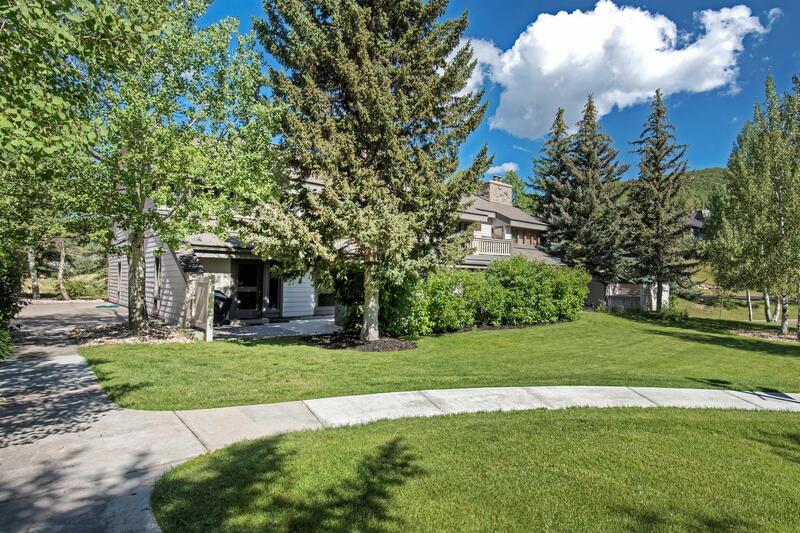 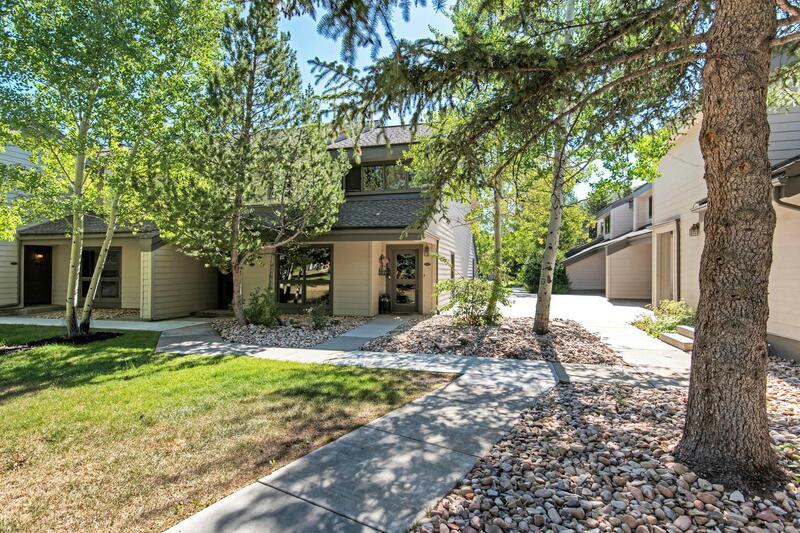 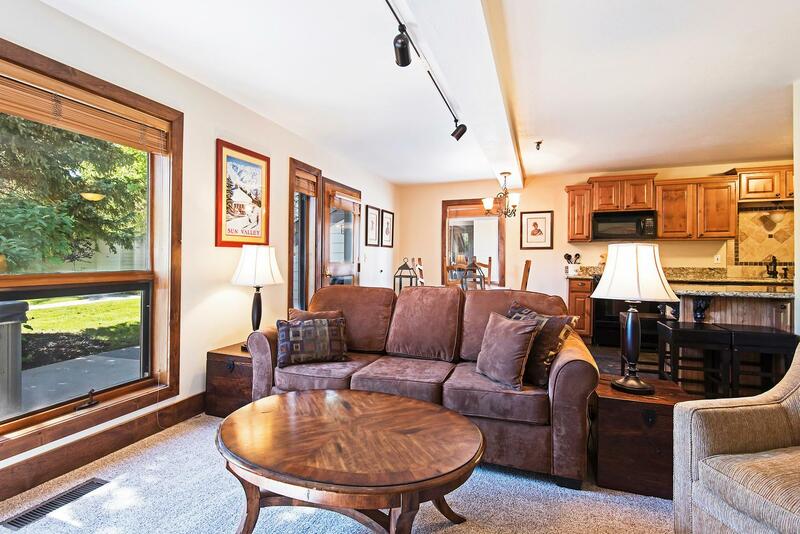 This two bedroom/two bath condo is in the perfect Deer Valley location. 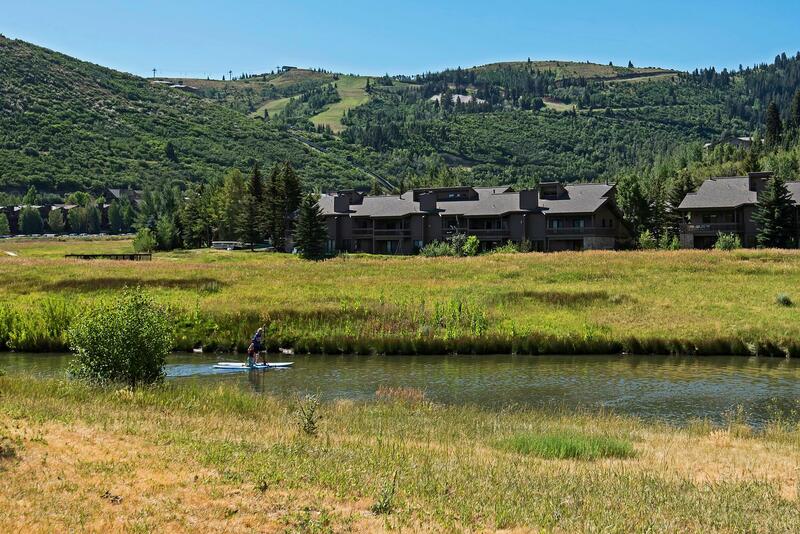 Only a half a mile from the base of Deer Valley, one mile to Main Street, and two miles to the Park City resort. 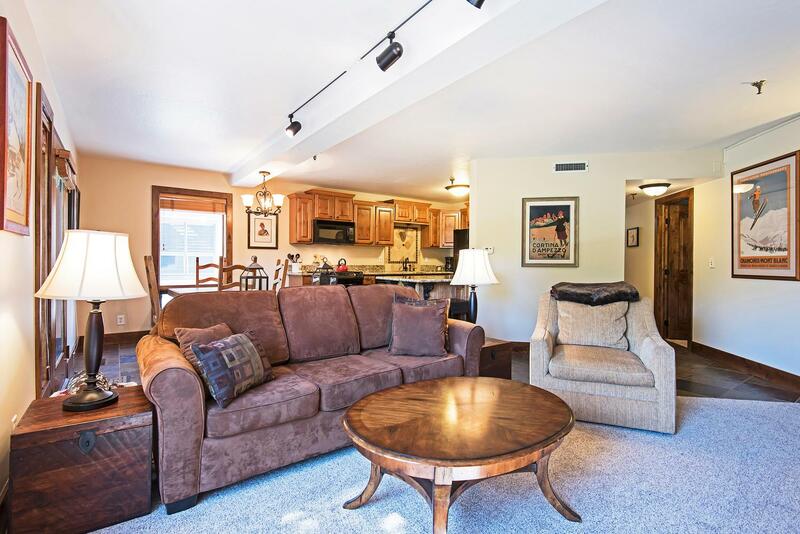 You can park your car in the underground parking and utilize the free shuttle system throughout Park City, with a stop next to the property entrance. 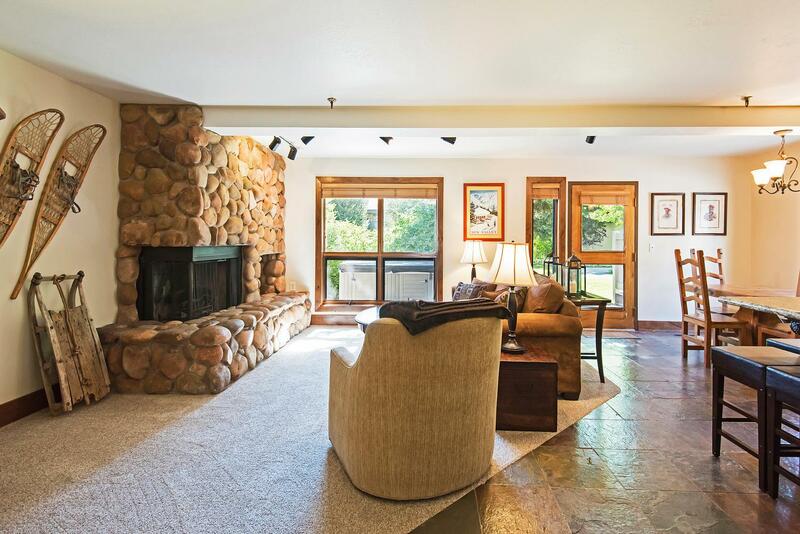 The living room, kitchen and dining area are all combined in one great room, providing plenty of space for your group to lounge and gather. 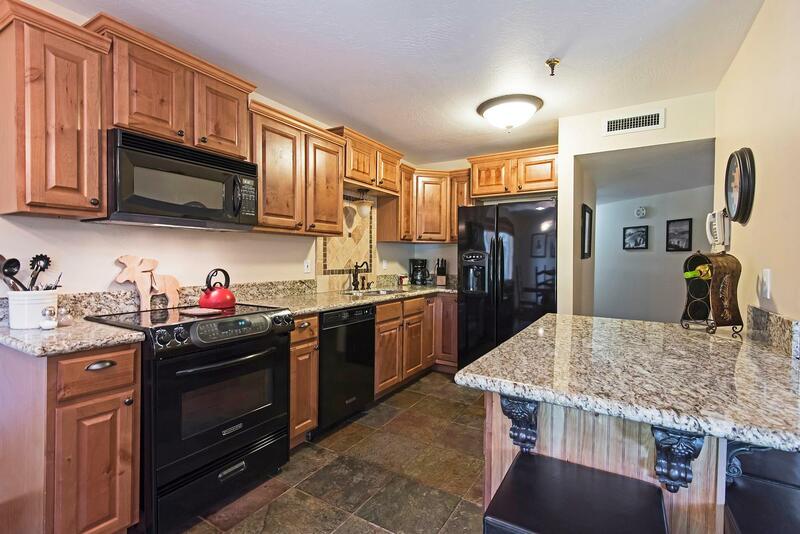 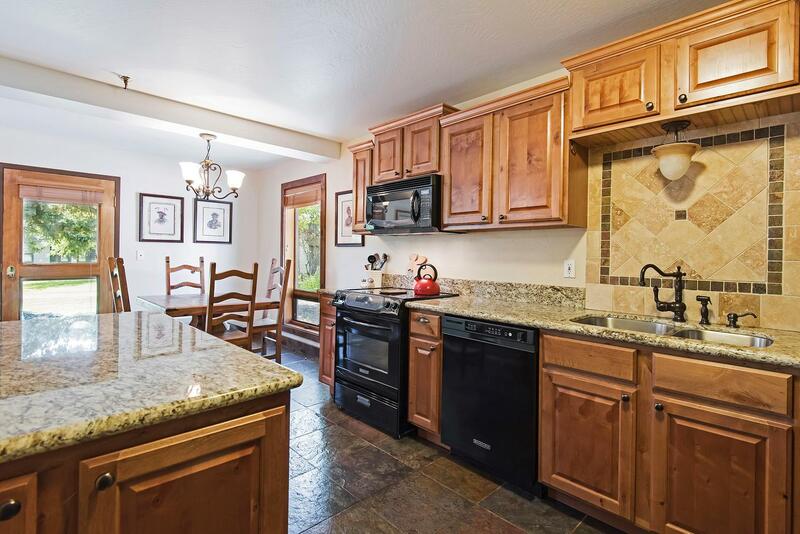 The kitchen has been completely remodeled with new cabinetry, appliances and counter tops. 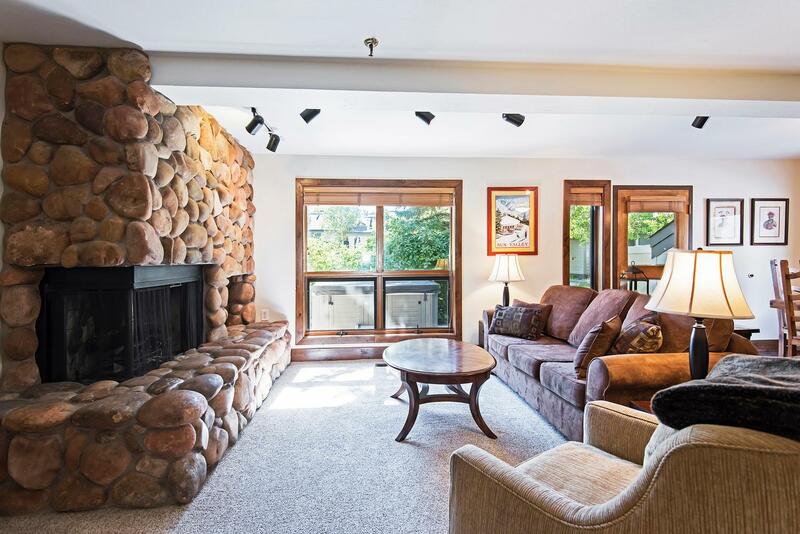 The living room has a big fluffy couch, which is a sofa sleeper, where you can curl up by the fire and enjoy your favorite movie. 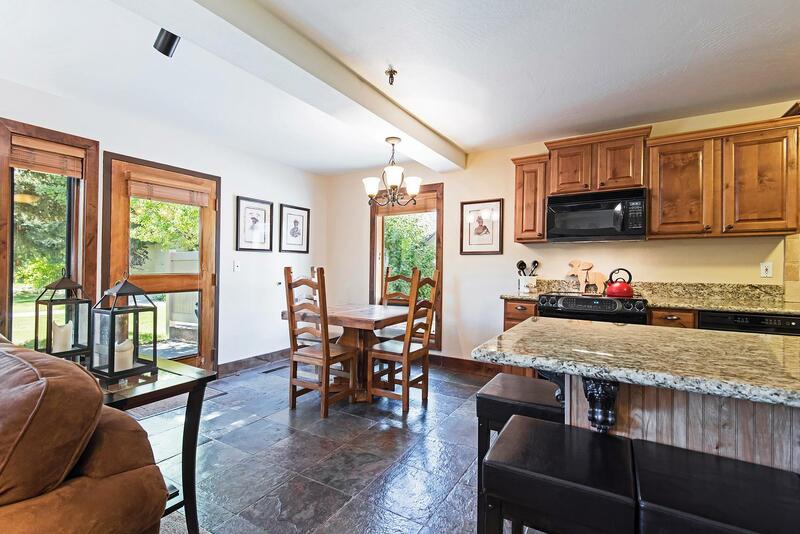 The dining area has a table for four and additional counter seating for three. 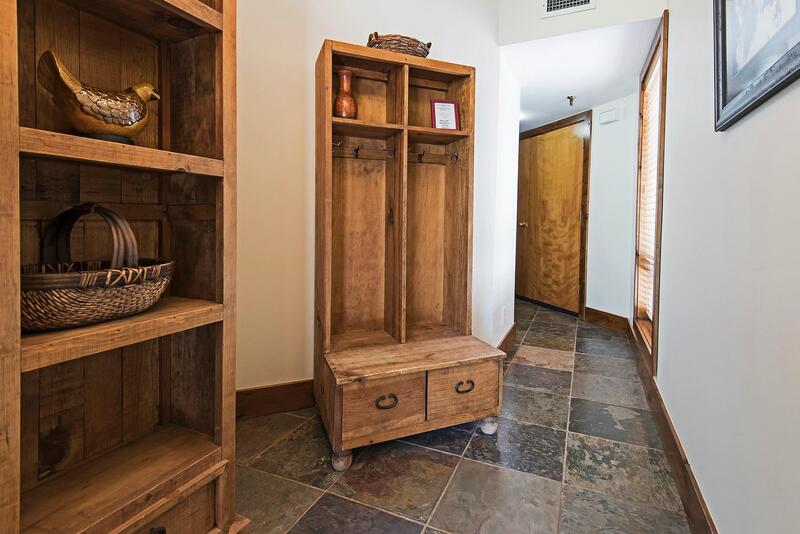 The two bedrooms have all the modern comforts and are decorated in a western theme - the master has a queen bed and the second bedroom has two twins. 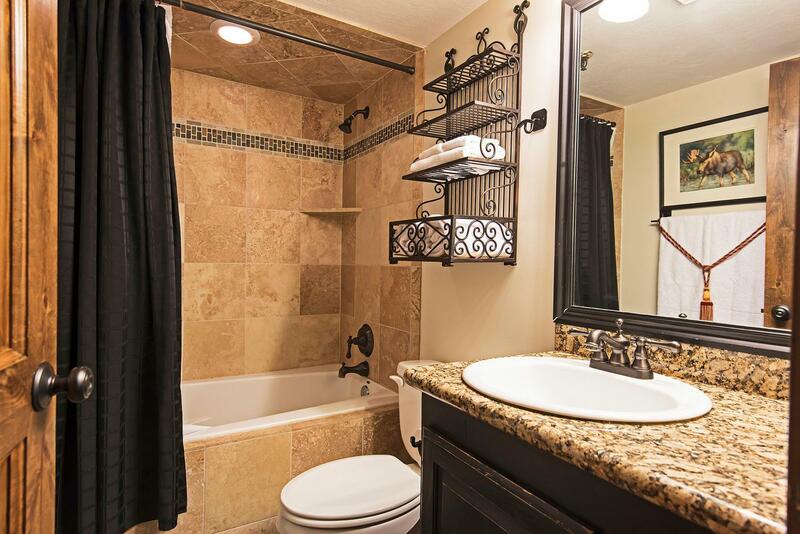 The master bedroom has a and private bath with a jetted tub and the second bedroom has a private bath and a flat screen tv. 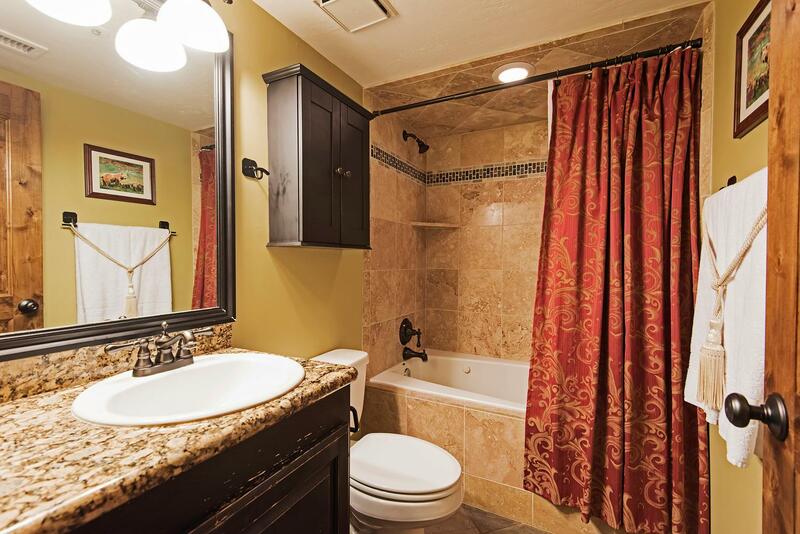 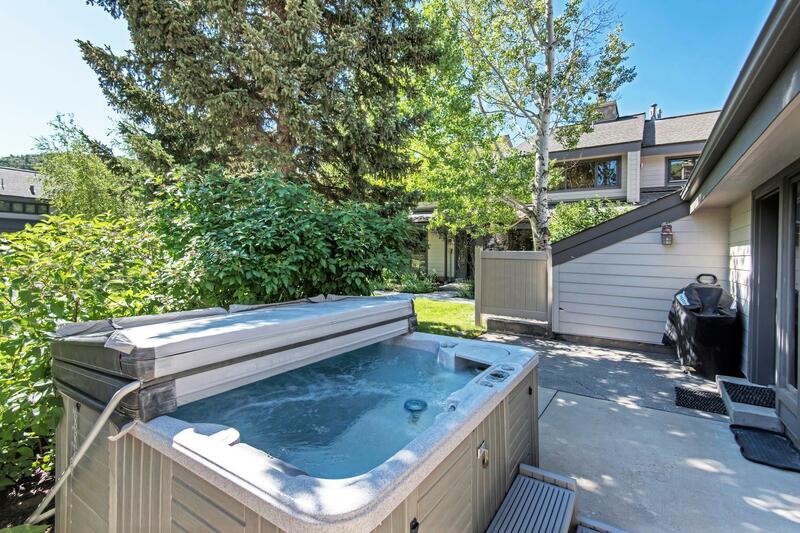 You will also enjoy the private, outdoor hot tub and the washer and dryer in the condo. 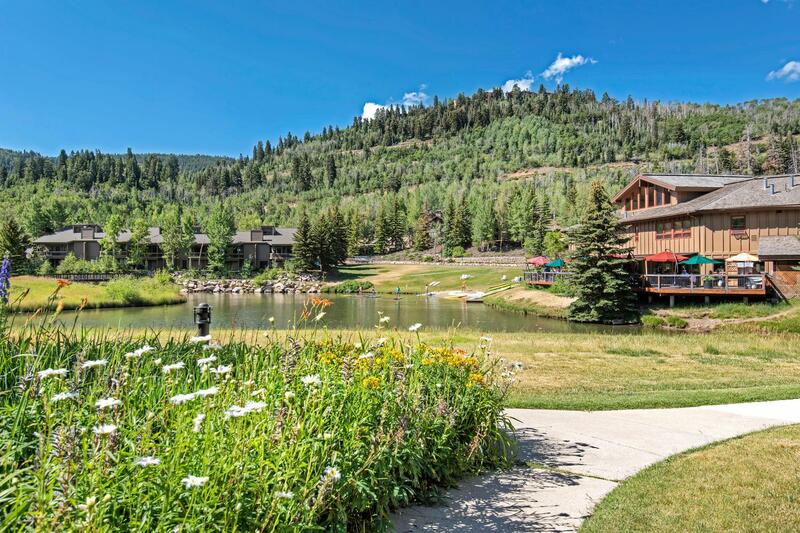 Located adjacent to the Deer Valley Cafe, you can always grab a quick coffee, a full breakfast or lunch, or a few basics for a home-cooked meal.